Any kind of home improvement is a big undertaking. You should always take time to consider the work that will go into a project, and what the benefits project will have before going forward. This is just as much the case with enclosing your porch as with anything else, especially considering that your porch is the face of your home. Here are some things you should consider before making your decision. Here in San Antonio, you could really get used to having a fully enclosed porch. Enclosing your porch would allow it to share central air conditioning with the rest of your home. This is especially nice in the summer when you want to sit on your porch with a cold drink, but you also don’t really want to leave the comfort of your air-conditioned home. The same goes for the colder months. The heat can be channeled into your enclosed porch just the same as the cool. Just know that heating or cooling additional space will cause you monthly bill to rise. It is best to only heat or cool your porch while people are using it, otherwise you are wasting money and energy. If you compare the cost of enclosing your porch to the cost of adding a new room to your house in its entirety, the former is much cheaper. However, that does not mean your enclosed porch won’t cost you a pretty penny. The price of this improvement is comparable to that of a patio installation or something similar. So, it is best not to make this decision hastily. It is also worth mentioning that your enclosed porch won’t always be able to be used for the same things as a new room would be used for. So know what you want your porch enclosed for. How often do you think that you will use your porch? Do you use it often now? Would you use it more often if it were enclosed? What will you use it for? If you are just looking to create a new space to relax in, an enclosed porch may be perfect for you. Much like a living room, a porch works well as a gathering space. It can also make a great playroom if you have children. However, if you’re looking to add an extra bedroom on to your house, you are most likely better off building a new room all together. Enclosed porches are typically better for more temporary uses, and no one really wants to walk directly into a bedroom when they enter your home. As with any home improvement project, you have to make sure that you’re following the zoning laws. There are many factors that go into these regulations including where your property line ends, if there are any power or gas lines nearby, and perhaps even rules specific to your neighborhood. Your project will need to be approved before you can go forward, but you shouldn’t stress about it too much, as these things usually seem to go off without a hitch. An enclosed porch has the potential to greatly affect the resale value of your home. This, of course, will have a lot to do with the quality of your porch renovations. A well-done porch will add value to your home, while a poorly-done porch can actually detract from the value of your home. Do not go into a project thinking that you can drastically up the resale value of your home without putting money, time, and effort into it. No one wants to purchase a home that displays shoddy craftsmanship before they even get through the door. A half-baked home improvement isn’t really an improvement at all. A porch can be a great addition to your home, but is can also take up space in your yard. If your yard doesn’t have much room to spare, it might be better to consider a more open addition to your home such as a patio. This, of course, will all depend on how important your yard is to you. If you think that you will get more use out of an enclosed porch than your yard, then there is no problem. However, if your yard is important to you, you may want to find a compromise. A deck is another great halfway point between enclosed porch and yard. 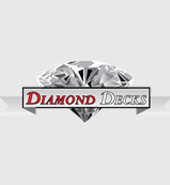 So, whether you are looking to improve your home with an enclosed porch, a deck, or a new patio, we at Diamond Decks are here to help. 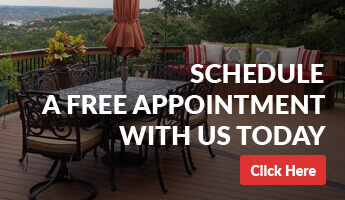 We offer a wide range of home improvement services to help make your home the best it can be.